The Ford Mustang II doesn't get much respect in the car world, even the Cobra version is a scoffed at by Camero owners and Vespa driver's too...but...and this is a BIG BUT...if you do it right, the end result might be cool enough to embarrass your kids at the school drop off line and attract the right kind of yoga pant wearing mom...if you are into that kinda thing. 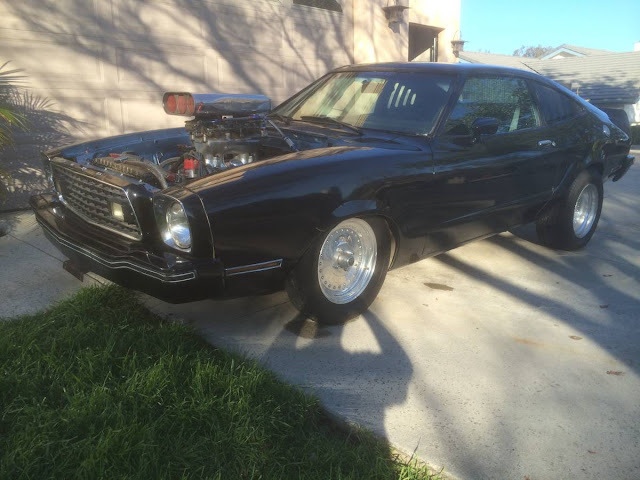 Don't worry about license plates because this thing will never pass Cali smog with the current engine setup, so just be prepared to run checkpoints like you are the night rider. 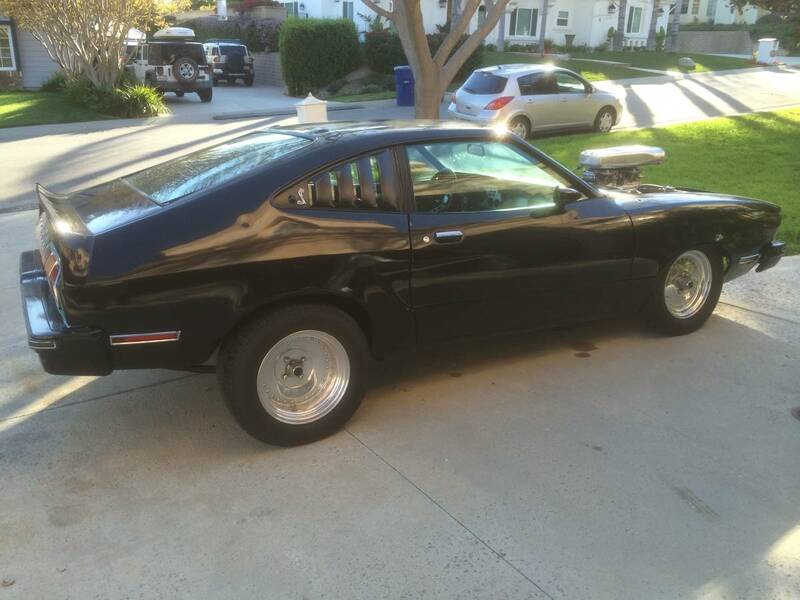 Find this 1977 Ford Mustang Cobra II offered for $6,500 in Camarillo, CA via craigslist. Up for sale is my 1977 mustang cobra 11. It was built into a hot rod in the mid 80's. It has a built 302 with a 5 speed manual trans. It runs and drives great but it's not street legal at the moment due to smog requirements. I have a clean and clear California title. $6,500 obo. Feel free to contact with any questions. Vince, did you watch Mad Max or The Road Warrior last night? The Road Warrior. Like I do every...single...night. I think you're more likely to get the mom's wearing leopard print clothes in this thing. Definitely has that 80's pro street vibe! Leopard print yoga pants? Is that a thing? This would be Rad until the novelty wore off. Then I would just look like an old guy who scored a 402 on his HS SAT test. That's why you just bring it out every now and then. I'd park it right next to the CEO spot at the hospital, just so they could look at it one day and ask themselves which doctor in staff has a mullet hanging low over a pack of shoulder-rolled winstons...and are they single?